Guest blog: Corinne Hannah, Horticulturalist, Facilities and Grounds at Calgary Zoo. I just love my job, I really do. 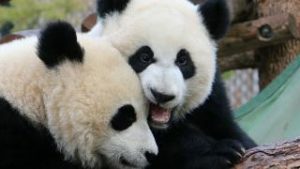 As Horticulturist at the Calgary Zoo my days are filled with fascinating tasks and I have to say that this latest project has been really special. I was recently contacted by friends of Dale Cote. A farm hand from Milo, Alberta, Dale happens to create works of art when he is not out driving a tractor. Dale’s friends felt he had created a sculpture so amazing that it should be showcased to the wider world. 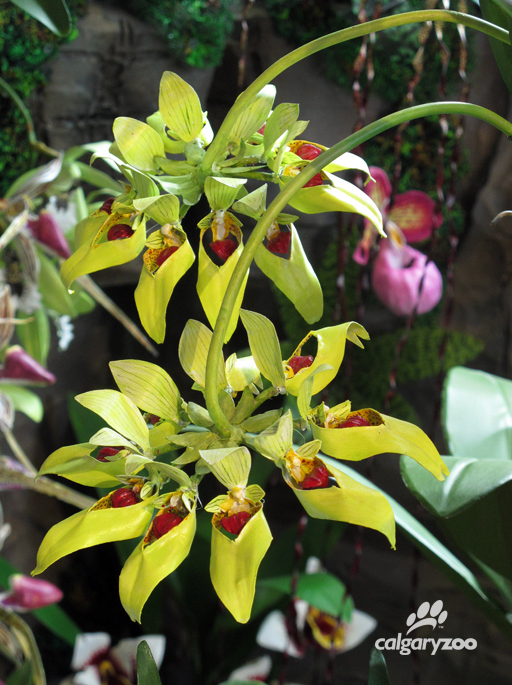 Dale Cote’s incredible sculpted orchids look realistic, even close up. The photos sent to me were intriguing, but I wondered – did the piece stand up to close scrutiny, and did it align with the goals of the zoo? Dale’s work exceeded my expectations in every way, and I kind of fell in love with him and his family along the way. These flowers are made of tin cans? You have to see them to believe it. So I invite you all to come and see Dale Cote’s Orchid Tree while it’s visiting in the ENMAX Conservatory (it’s with us until the end of May!). 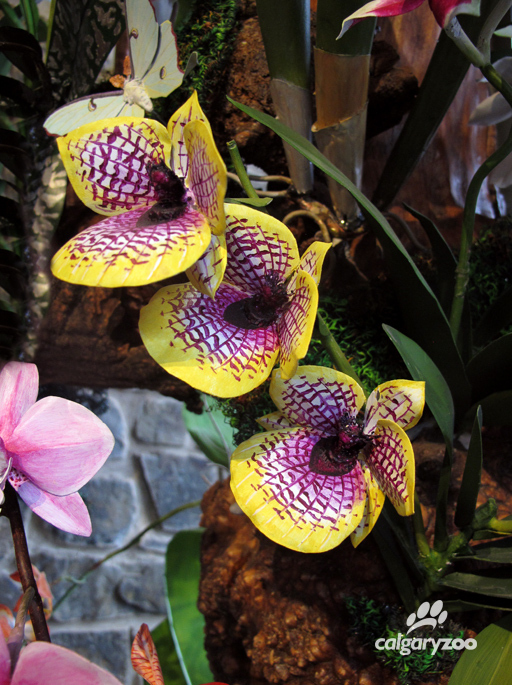 This breathtaking sculpture is covered in over 120 species of orchids, many of which are critically endangered. The blossoms have been fashioned out of discarded tin cans and are painted with meticulous realism. I believe you will be amazed at his artistry, and amazed at the beauty that can be found in the natural world.